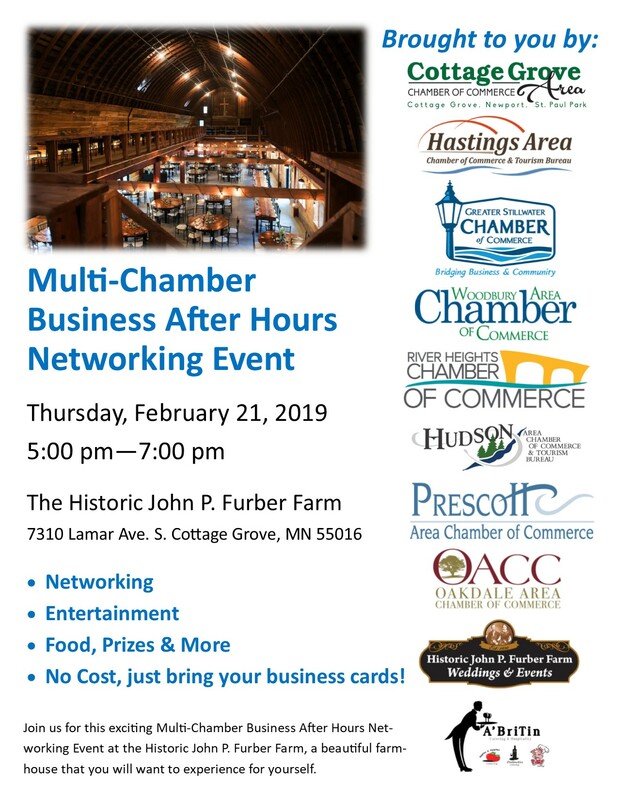 Multi Chamber Business After Hours on Thursday, February 21st from 5 to 7 p.m. at the Historic John P. Furber Farm in Cottage Grove. This multi- Chamber event is hosted by Chambers from Stillwater, Cottage Grove, Hastings, Woodbury, River Heights, Hudson, Prescott, and Oakdale. This event is open to Chamber members and there is no cost to attend. Bring your business cards!